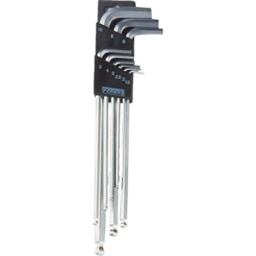 Complete set of hex wrenches. Heat-treated tool steel is 15% harder than most. Long length provides great leverage. Includes: 1.5, 2, 2.5, 3, 4, 5, 6, 8, & 10mm plus plastic holder.